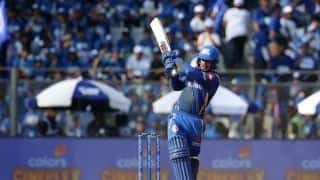 MS Dhoni did something very un-MSD recently during an Indian Premier League (IPL 2019) match when his side Chennai Super Kings (CSK) squared off against Rajasthan Royals (RR). 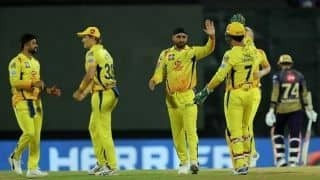 The incident took place during the last over the match – the innings’ third last ball – when Gandhe had tried to rule a waist high full toss as no ball by RR allrounder Ben Stokes, but he reversed his decision after square leg umpire Bruce Oxenford did not signal for it. “So @virendersehwag has just said on @cricbuzz that MS Dhoni should have been given a 2 game ban for storming onto the pitch,” ex-England captain Michael Vaughan, on the expert panel for a leading cricket website, tweeted on Saturday. “Crkt was never meant to ‘look’ ugly-never mind if laws o the game are not trespassed-but certain ‘behavioural’ patterns r tantamount 2 bringing disrepute 2 game..nobody was ever bigger than the game which demands highest form of exemplary discipline frm players/officials alike!,” Bedi tweeted. Crkt was never meant to ‘look’ ugly-never mind if laws o the game are not trespassed-but certain ‘behavioural’ patterns r tantamount 2 bringing disrepute 2 game..nobody was ever bigger than the game which demands highest form of exemplary discipline frm players/officials alike! “Am aghast w/media calls on Dhoni’s invasion o field as most immature protest against Umpires last night..puzzles me no end why sport scribes r petrified o honest expression against erring established stars..why even authorities are shamelessly timid-50% fine is kid-gloving MSD. !,” he wrote on the micro-blogging site. 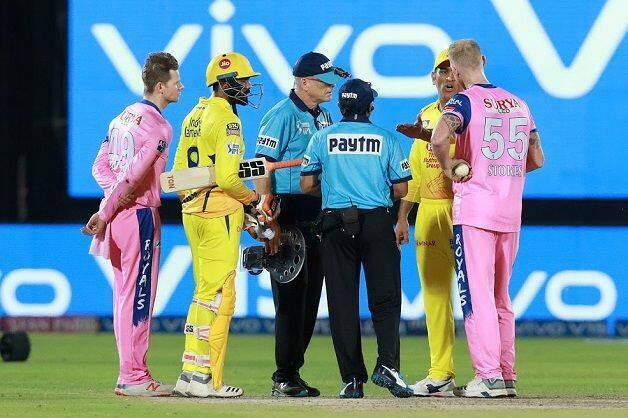 Am aghast w/media calls on Dhoni’s invasion o field as most immature protest against Umpires last night..puzzles me no end why sport scribes r petrified o honest expression against erring established stars..why even authorities are shamelessly timid-50% fine is kid-gloving MSD.! Chennai Super Kings (CSK) next face Kolkata Knight Riders (KKR) at the Eden Gardens on Sunday. The match begins at 4pm IST. Can rampant Chennai make it two out of two against Kolkata?